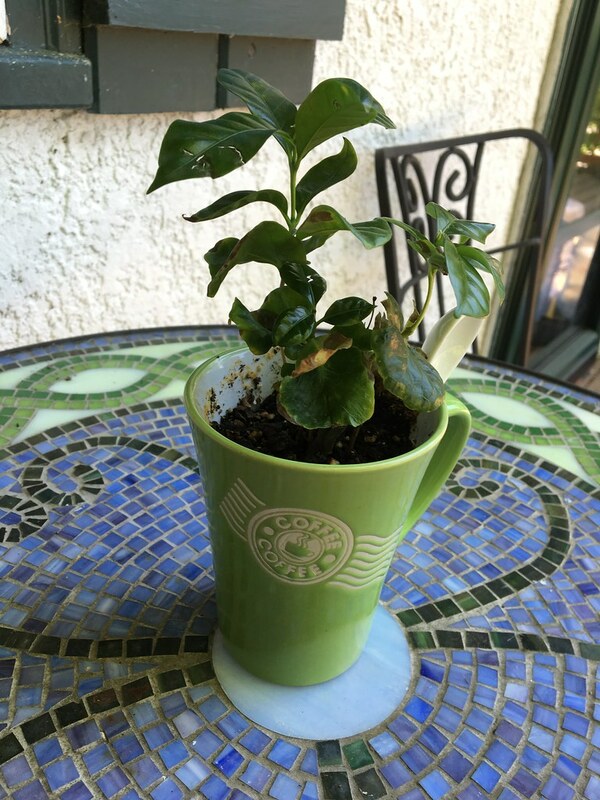 Cathy's Cuppa: Belated Mother's day: I've got a coffee plant! The kids* got me a coffee plant! I am absolutely delighted and tickled by this gift. Now, that said, I live in Minnesota. Coffee grows near the equator, at high altitudes. My house is also TERRIBLE for plant growing. It faces north, and the east and south sides face a steep hillside. The west side gets some sun, but mostly, it's shaded by the neighbor's trees. But, coffee doesn't like direct sun - rather it likes bright but indirect light. So, as long as the weather stays above 50 or so, it can live on my front porch, on my little cafe table (where I sit and drink coffee on the weekends). And for the winter, it'll go to Chris's work, where he has a window with adequate light. 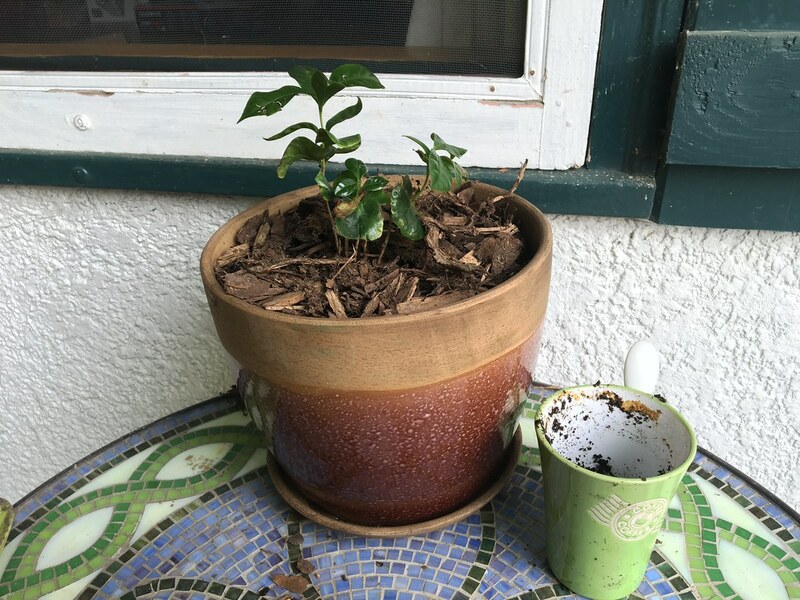 And, I really love the irony - sending my coffee plant to be cared for by my coffee-hater. I've read that after 5-7 years, an indoor coffee plant will sometimes flower and produce enough berries to perhaps make a cup of (usually not-very-good) coffee. How cool would that be??? *My stepkiddo Garrett and his wife Leah, who is a pretty awesome daughter-in-law.